Tae Kwon Do is a Korean martial art that has been in existence for over 2,000 years. The earliest evidence of Tae Kwon Do is found in warrior's tombs dating as far back to the year 3 AD. Murals painted on the walls of the tombs depict men engaged in Subakki fighting. This combat was different from the type of Tae Kwon Do that is practiced today. Tae Kwon Do has evolved over the years, becoming more scientifically systemized through each generation. It is the national sport of Korea and became an Official Olympic Game in the year 2000. Tae Kwon Do is more than just a sport; it is also a way of life. Everyone can benefit from its aerobic style training-young, old, men, women, singles, and families. Through dedications and sacrifices of all the Tae Kwon Do masters and participating athletes, together, we've accomplished such a presence and acceptance by many. In today's high-teaching society, it is important for one to stand against modern hardships, maintaining fitness, both physically and mentally. 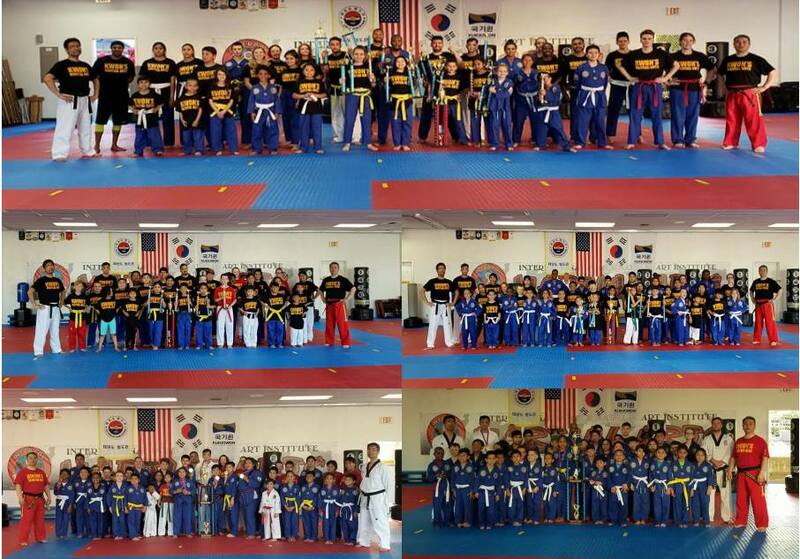 We at Kwon's Martial Arts strive for happiness and success in life through the building of a healthy body and a strong mind. We sincerely hope our Academy may serve and benefit you in any way possible.